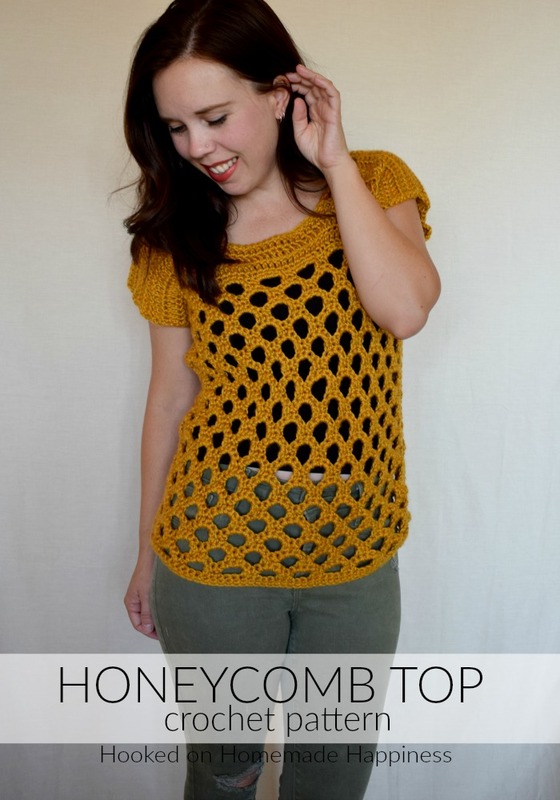 The Honeycomb Crochet Top has a beautiful honeycomb design and it fits perfectly with the golden yarn. 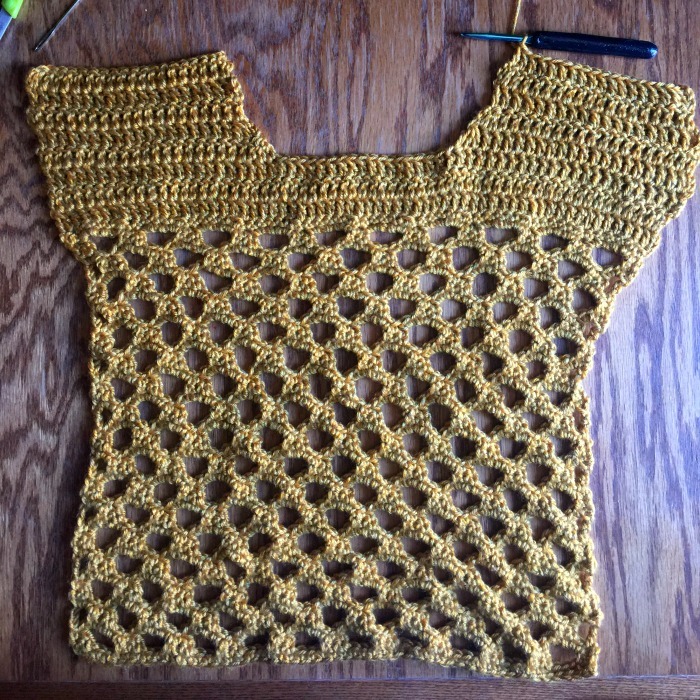 As soon as I spotted this yarn, I knew I wanted to make something special with it. 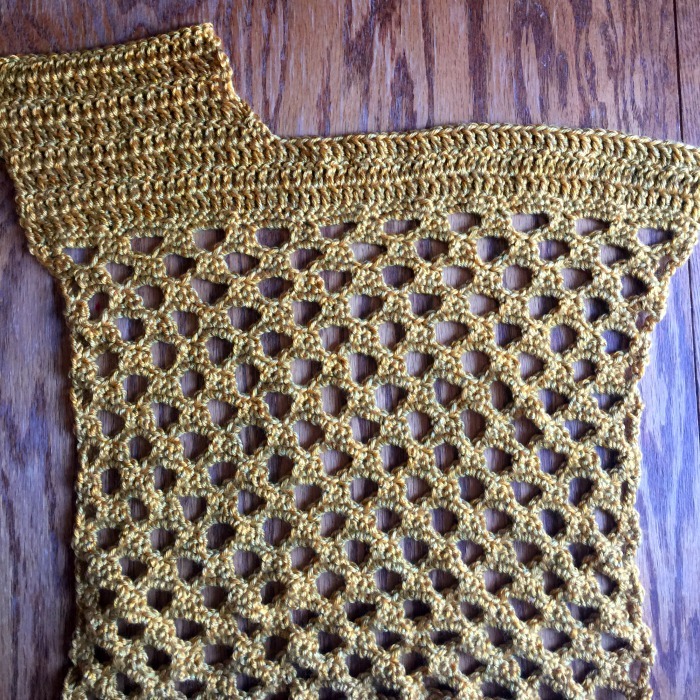 I love the earthy yellow, with the subtle greens and browns woven in. I kept it around for quite a while before I finally figured what I wanted to make with it. 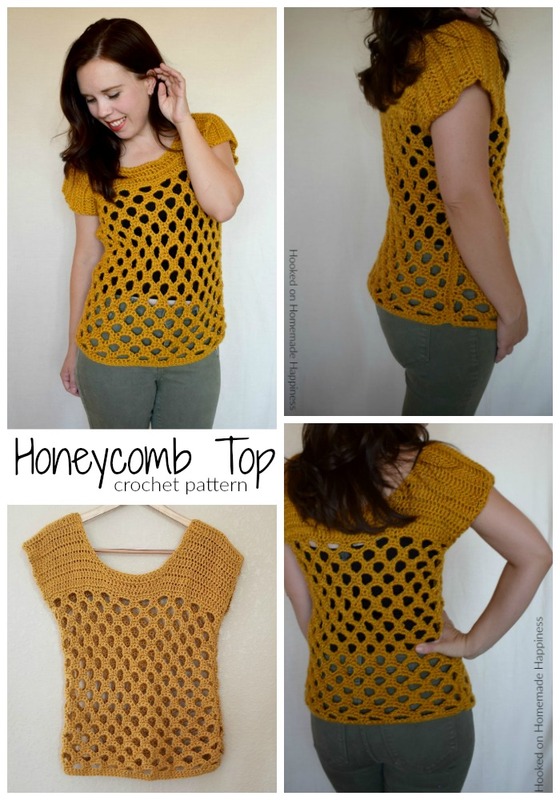 I came across the Honeycomb Stitch and I knew I had found it! 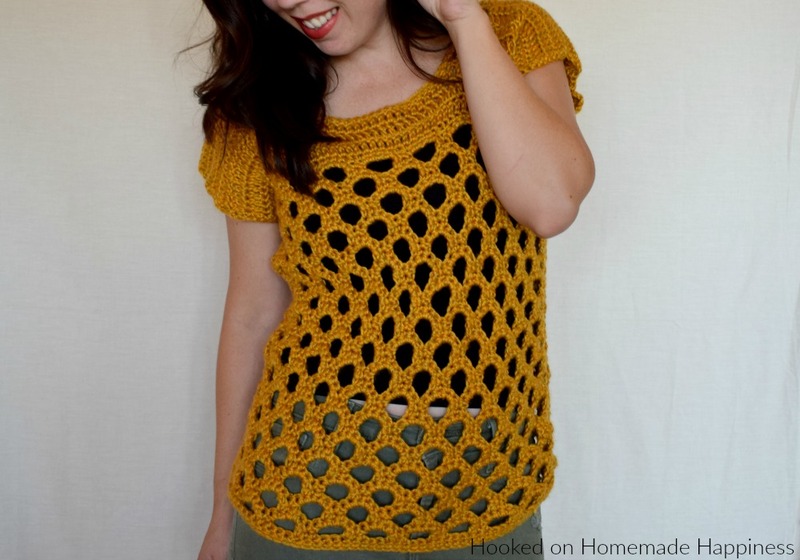 I wanted to make an open, airy top using the honeycomb stitch. It’s an open stitch, almost like mesh. But unlike mesh, the stitch comes out very sturdy. 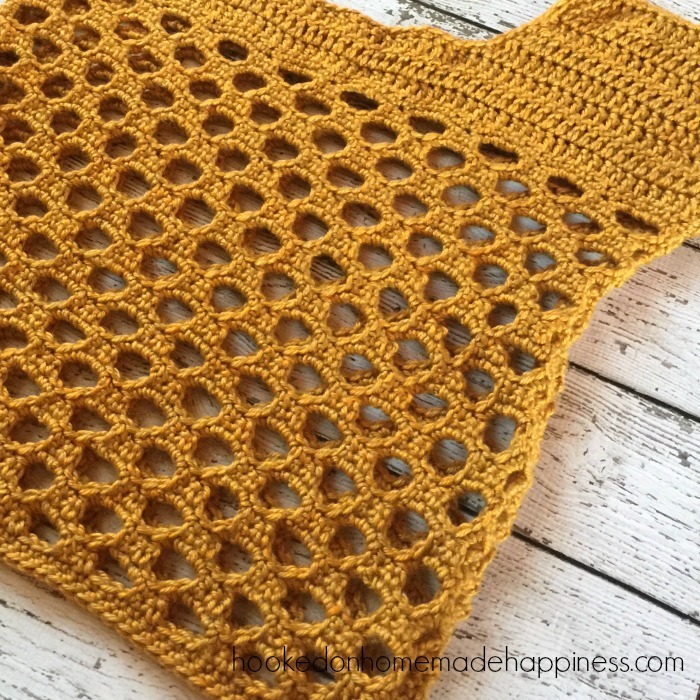 – Get the free pattern below or this pattern is also available as an inexpensive, clearly formatted, PDF instant download in my Etsy shop. 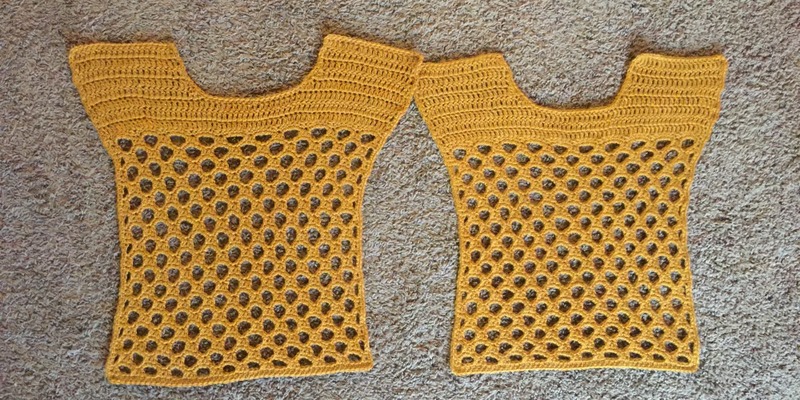 Pattern is worked in two panels that are sewn together. Each panel is worked from the bottom up. The size can be changed by adjusting the starting chain. I chained enough to fit comfortably across the front of my waistline. 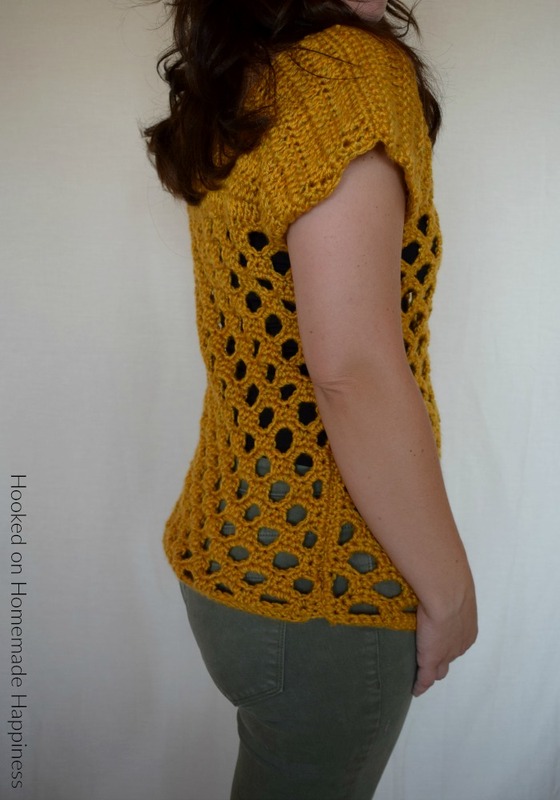 NOTE: In the next rows, you will start working the sleeves. 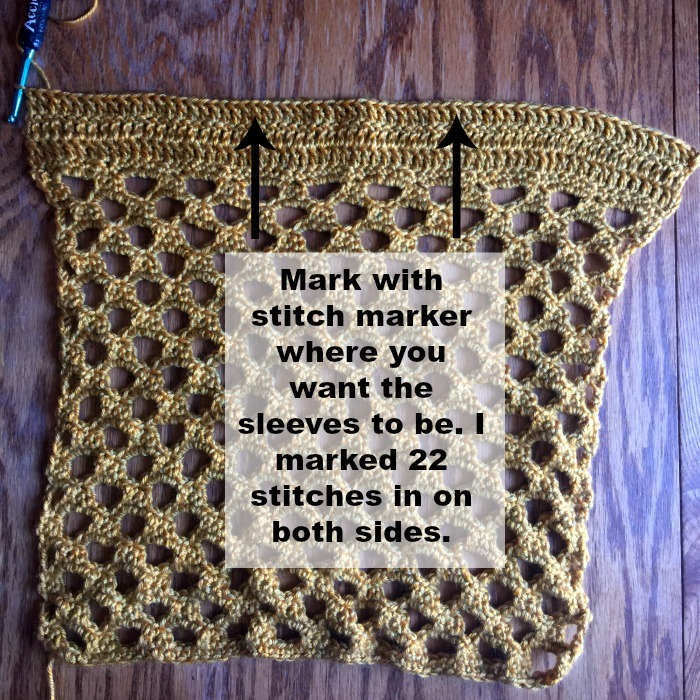 Using a stitch marker, mark where you want the scoop neck to be. 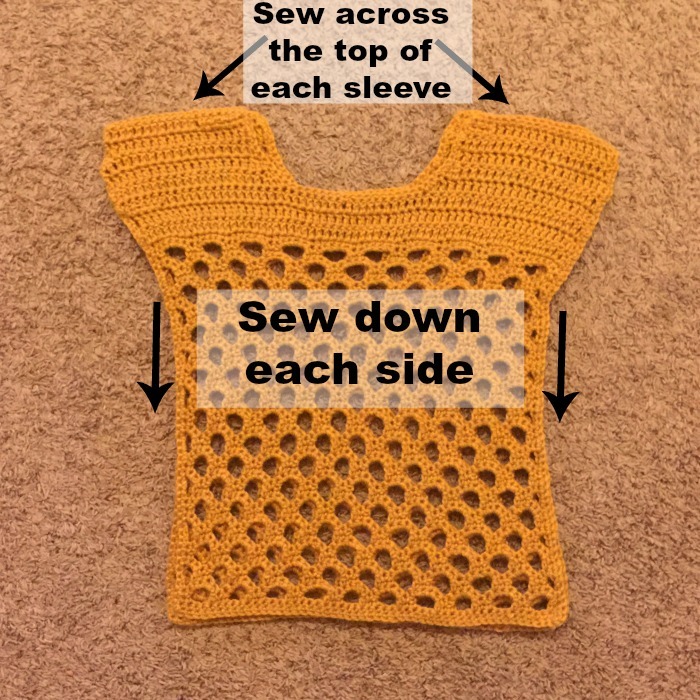 Join yarn to the opposite end of row 39 and repeat rows 40 – 44 for the other sleeve. Do not fasten off. Ch 1, sc evenly around the entire panel, with 2 sc in each corner. Make 2 panels. I highly recommend wet blocking both panels before moving on to the next step. 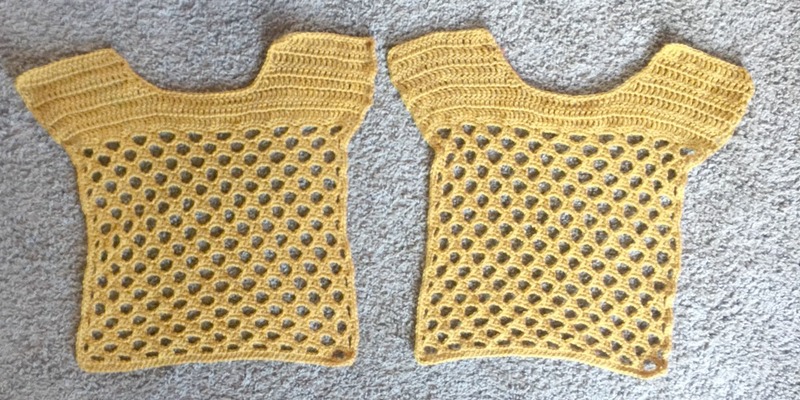 Pictured above is before blocking and this (below) is after wet blocking. It made a huge different for me and was worth the extra time. Fasten off, weave in all the ends. Turn top right side out so the seam is on the inside. wow, really great looking and so simple! love the color too, perfect! 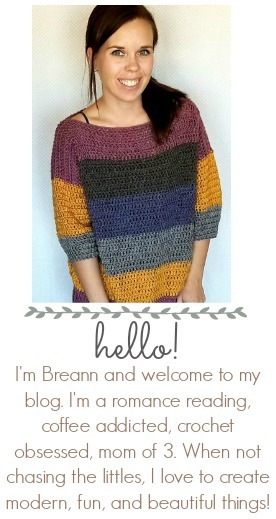 thanks for sharing on craft schooling sunday, have a wonderful crochet-filled summer. When you say to make a larger size, the chain needs to be a multiple of 5+2. So does that mean it needs to divide into 5 as well as 2? I am confused because in the pattern the 52 does not divide by 5. Sorry just confused about how to make this bigger.